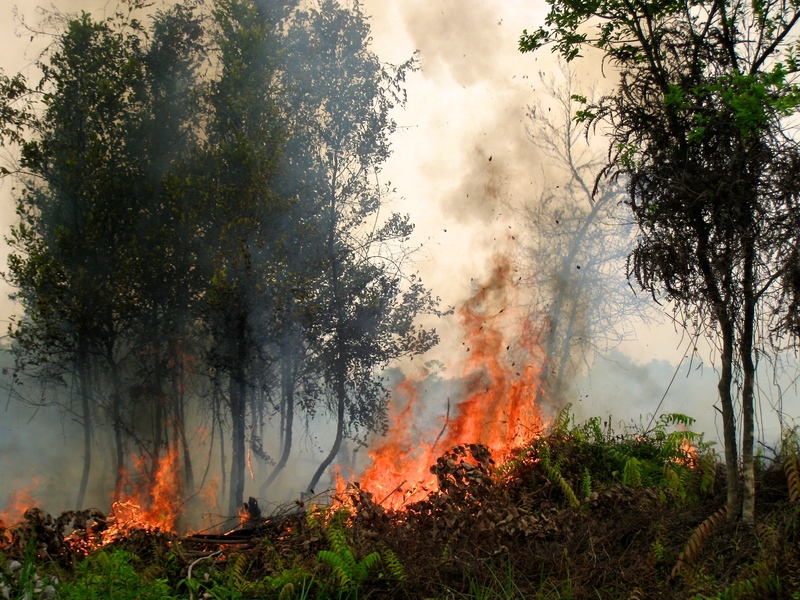 Forest fires are mostly caused by human activity. Palangkaraya, Central Kalimantan, Indonesia, 2011. Source: Rini Sulaiman for Center for International Forestry Research. Last spring break, I had the opportunity to travel to Indonesia to learn about sustainable palm oil with a group from the Yale International Relations Association. As a naïve freshman, I remember asking the group leaders before we left, “What sorts of activism efforts might we do once we get back on campus? You know, to raise awareness about palm oil deforestation?” And while I still think that such educational efforts are important and effective, I realize now that pushing against an environmental catastrophe rooted in a deeply set system of economics, international politics, and modernization is a lot tougher than I thought it would be. Neither an awareness campaign, nor a United Nations treaty, nor a glossy campaign with crowd-pleasing slogans will solve the issue of palm oil deforestation and its environmental health effects. Instead, we must take a look at the local challenges that directly cause deforestation and consider the most realistic and effective interventions. 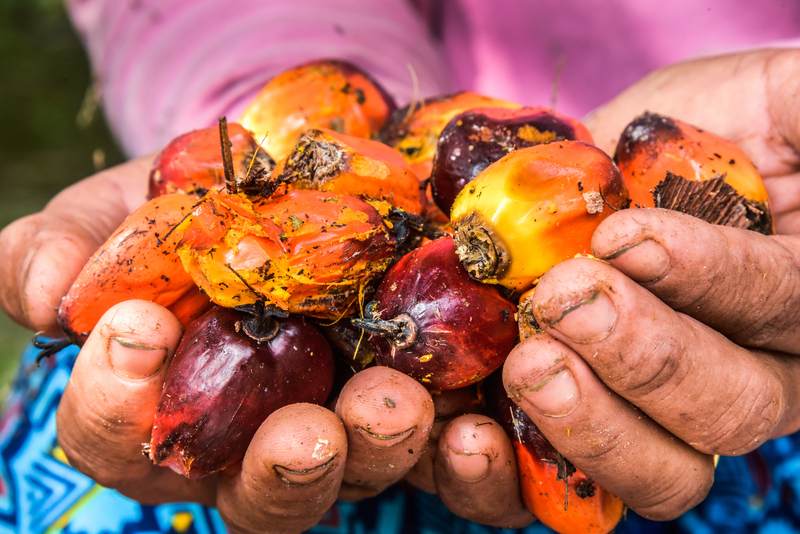 The consumer demand for palm oil is unrelenting–and so are the production efforts of the suppliers. Over 85% of the world’s palm oil comes from Indonesia and Malaysia.3 In Indonesia, where the most palm oil production occurs, the palm oil industry employs over 3 million people.4 The most common (and cheapest) way to clear space for palm oil plantations is by burning down forests, including high-carbon forests and areas marked for conservation. 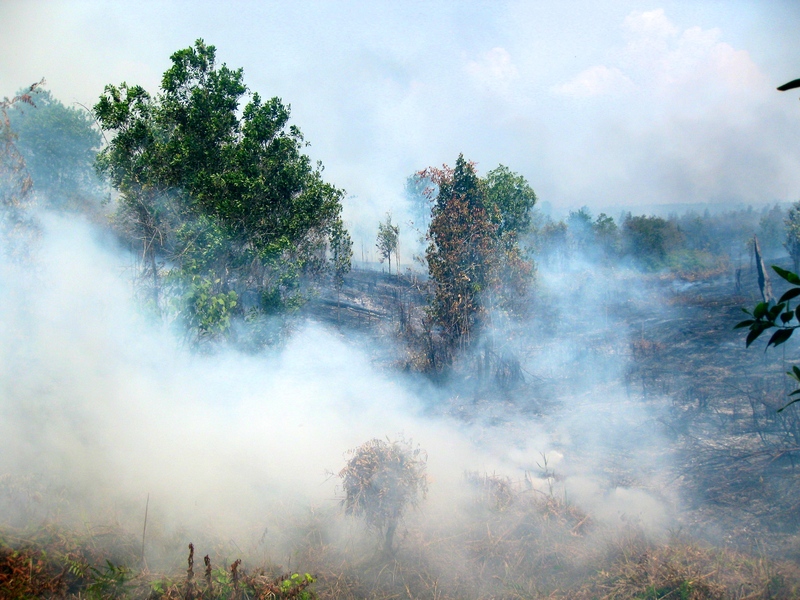 To obtain even more arable land, peatlands (wet, carbon-rich soils) are often drained of water, which raises the frequency and duration of forest fires, as formerly unburnable lands become dry and flammable.5 The amount of forested land destroyed continues to increase at alarming rates. From 2005 to 2014, palm oil land nearly doubled, reaching over 8.5 million hectares.6 An estimated 53% of palm oil exports from Indonesia are sourced from illegal deforestation (with legal deforestation making up another significant portion of exports).7 Palm oil deforestation in Indonesia destroys habitats for animals including endangered species such as orangutans and rhinos, eliminates native plant species, and harms the livelihoods of communities living in Indonesia’s forests. Palangkaraya, Central Kalimantan, Indonesia, September 2011. Source: Rini Sulaiman for CIFOR. Every year, approximately 110,000 premature deaths in Southeast Asia are attributed to particulate exposure from forest fires, and overall long-term risk for cardiovascular disease and respiratory disease among affected populations increases.10 Infants and children, elderly people, and other immune system compromised individuals are especially at risk for developing respiratory tract infections and cardiovascular problems.11 Those closest to the source of fires are the most adversely affected. In the 1997 haze outbreak, for example, over 90% of respondents in a health survey of Jambi City, Indonesia (a city located close to forest fires) reported respiratory problems.12 The high economic costs of these health issues pose another burden: one study stated that the 1997 haze episode cost $199 million in health expenditures.13 Palm oil deforestation devastates all these facets of society––health, economy, environment––and more. With so much at stake, it’s no wonder the international community has responded. While in Indonesia, our group had lunch with three United States diplomats – two from USAID and one from the State Department. We were collectively impressed with their detailed knowledge of the Indonesian political climate and the issue of palm oil sustainability, but even more so with their candor when it came to the motivation behind their work in Indonesia. As one diplomat phrased it to us, advocating for palm oil policy change was not a conservationist or humanitarian cause; rather, reducing deforestation aligns with the United States’ security interests. Therefore, their role is to work with Indonesia to make this happen to achieve U.S. diplomatic goals. Hearing about how actively the United States seemed to be working with the Indonesian government to enact deforestation policy change was fascinating, and also a bit alarming. We all wondered how much the United States worked to influence the Indonesian government to fit U.S. security interests compared to other countries. Palm oil is extracted from the oil palm fruit. Source: Icaro Cooke Vieira/CIFOR. Though the effects of IPOP and its dissolution remain controversial, I personally lean towards Poynton’s perspective on the issue. During our trip, we met with about a dozen members of the IPOP secretariat who shed some much-needed light on this program. A common theme during our conversation was the need for further development. This includes development of IPOP’s exact mechanisms, assessment of IPOP’s effects, and clarification of IPOP’s mission to “collaborate with the government and all stakeholders to attain a sustainable palm oil sector”.21 They emphasized that because IPOP was so new (formed in 2014), they hadn’t yet developed an established method of enforcing sustainable policies, nor determined the effectiveness of IPOP. In fact, the challenges that the IPOP team brought up were the same ones the Ministry of Environment and Forestry told us they were currently dealing with: decentralized governance, opaque supplier chains, and contradicting concession maps. However, the one difference appeared to be that palm oil companies and the government seemed to already act on initiatives to address these problems, while IPOP appeared to still be figuring out their approach. Despite years of effort by the Ministry, these issues of local governance have proven quite difficult to overcome. The fall of the Suharto regime in the late 1990s led to decentralization of power to local officials who are often unaware of federal palm oil policies.22 A World Resources Institute study on the 2014 moratorium on deforestation stated: “only three out of eight [local officials] knew the areas protected by the official moratorium map within their district boundaries”.23 Our conversations with the Ministry of Environment and Forestry and the World Resources Institute echoed these same issues of decentralized governance of protected forests. Similarly, the Ministry frequently mentioned the lack of transparency in supply chains as a main hindrance in enforcing a ban on deforestation. 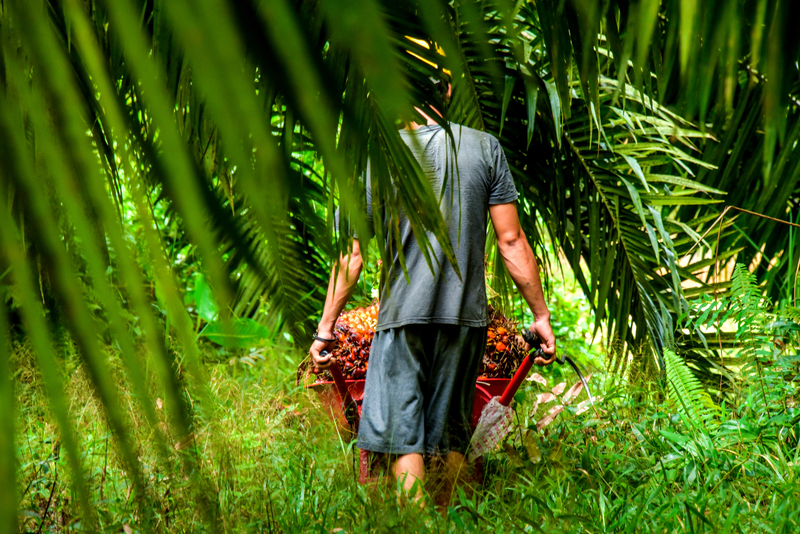 The team at IPOP also seemed focused on this issue, noting that without being able to ensure that each smallholder in the chain of supply of oil palm followed sustainable practices, a commitment to no deforestation was meaningless. However, neither IPOP nor the Ministry seemed to have a direct solution to this issue. An Indonesian palm oil worker transporting bunches of oil palm fruits in a wheelbarrow. Source: Icaro Cooke Vieira/CIFOR. The Ministry of Environment and Forestry also stressed the challenge of contradicting concession maps between different government agencies. Maps of the Indonesian forest designate forested land, protected land, and land available as concessions for development. However, within the Indonesian government, it’s common for “the Ministry of Forestry, the Ministry of Development Planning, the provincial government, and the district head to all use different maps for the same geographic area”.24 As a result, the government gives out more land than intended as concessions and/or might mistakenly allocate concessions to two or more different palm oil companies. To address this issue, the Indonesian government has set up an initiative called “One Map” to consolidate the thirteen different maps used by various government agencies.25 As we spoke more with government officials, local non-profits, and palm oil industry executives, it seemed clearer and clearer to me that efforts to address these challenges were well under way, even without the still developing internationally-led IPOP program. Before traveling to Indonesia and learning more about this issue, IPOP and other international campaigns seemed to me like a great way to address palm oil deforestation and its harmful health and economic effects. What better way to address a global environmental health issue than to collaborate as a global community? Yet the more we spoke to those involved in the palm oil industry and regulation, the more skeptical I became. These central obstacles to enforcing a commitment to no deforestation – decentralized governance, opaque supply chains, and contradicting concession maps – seem best resolved by the government agencies and private corporations that directly control these processes. Rather than advocating for more internationally led pledges, our most appropriate role as people outside Indonesia and other palm oil producing countries is to continue to demand for sustainably sourced palm oil. With better enforcement of sustainable practices, we will hopefully one day see less smog, fewer premature deaths, and improved health of both the environment and the people of Southeast Asia and the world. Akielly Hu is a sophomore in Berkeley College majoring in Global Affairs. Contact her at akielly.hu@yale.edu.